Canadian darkwave band The Birthday Massacre have proved themselves once again with an amazing record. June 9th was the day that 'Under Your Spell,' the newest album from the Toronto-based group, saw the light, showing a more poetic side of these guys and that there are still many songs to be written. The record starts with 'One', a childish yet sinister track, which recovers the magic from their previous master piece 'Happy Birthday' but mixing it with the experience and solid structure that identifies the band nowadays and the calming voice of vocalist, Chibi. Works perfectly as the opening for the album. With the same style, a combination of soft rock and dark enchant, the band explores different sides of such a complex feeling as love, creating addictive songs like 'All of Nothing' and 'Without You', before the wildness of 'Counterpane'; TBM should highly consider doing a music video for this one, just saying. The band also gravitates into a more electronic-based proposal with, 'Unkind', 'The Lowest Low' and 'Games', using metaphors to describe the ups and downs of an unhealthy relationship where feelings are one-sided, receiving just silence as a response. You could even say that there’s a romantic touch in the loneliness described, in both lyrics and music. Finally, to the best style of the songs for a film’s credits sequence, 'Endless' presents a more pop side of the band, recurring to the aesthetics of 'Walking With Strangers,' but always keeping their new voice and sound on top to give a retro, 80s-like sound that makes the listener travel back in time. 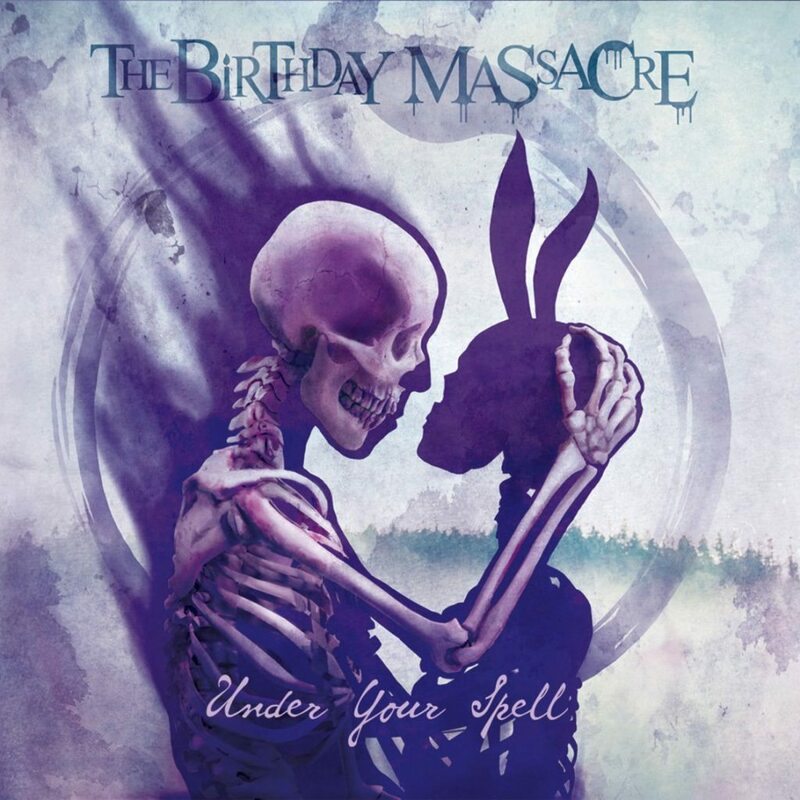 Although some might have expected a heavy record, 'Under Your Spell' bends together the best of the past with the freshest face of The Birthday Massacre, creating a real experience that feels like you were swimming in a black ocean. Memorable. One of the best products this band has released so far.